India’s manufacturing activity expanded at the fastest pace in more than a year in February, as new orders and output grew solidly in a boost to employment, a private survey showed on Friday. The Nikkei Manufacturing Purchasing Managers’ Index, compiled by IHS Markit, increased to a 14-month high of 54.3 in February from January’s 53.9, confounding a Reuters poll predicting a dip to 53.5. The index has now been above the 50-mark threshold separating growth from contraction for 19 months. 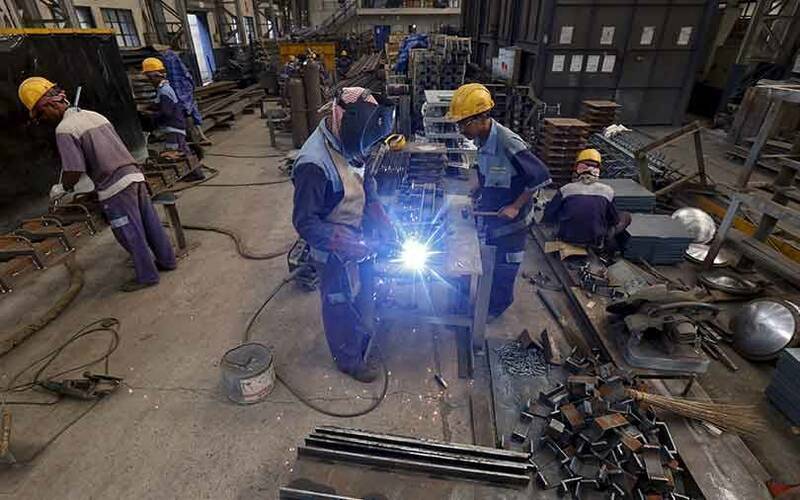 “The Indian manufacturing sector made further progress midway through the final quarter of fiscal year 2018, building on the accelerated upturn noted in January. Sharper growth in production and sales were matched by the establishment of new jobs,” said Pollyanna De Lima, principal economist at IHS Markit. A new orders sub-index - a gauge of overall demand - increased to 56.9 in February, its highest in nearly 2-1/2 years and came despite a slight increase in inflationary pressures, encouraging manufacturers to raise output at the quickest pace since December 2017. However, retail inflation is unlikely to rise above the Reserve Bank of India’s medium-term target of 4 percent anytime soon after it hit a 19-month low in January. Low inflation was one of the drivers of the central bank’s surprise rate cut last month and analysts are predicting another cut soon. The Indian economy, which expanded 6.6 percent for its slowest annual pace in more than a year in the final quarter of 2018, could get a boost from solid manufacturing growth in the first two months of 2019. “The survey results suggest that manufacturing will likely provide a stronger contribution to overall economic growth in the final quarter, provided that March’s figures stay on this favourable path,” said De Lima.